The Hotel Sputnik is a large, three-star high-rise hotel on Leninsky Prospect, within walking distance of the Academy of Sciences and the Moscow Business School. Red Square is about 5 km from the hotel. 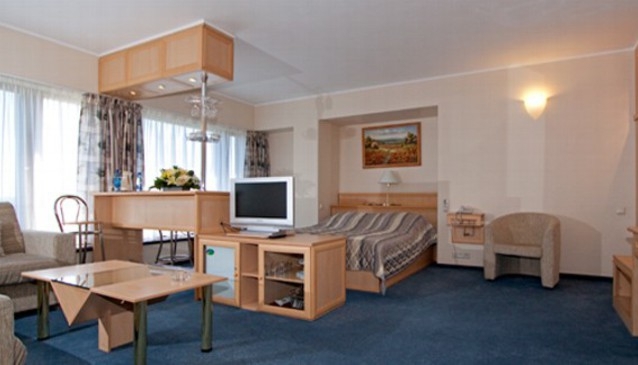 This large hotel offers simply, cheerfully furnished rooms and junior suites. Guests can dine at one of three restaurants, including an Indian restaurant and a Japanese restaurant. The hotel has two meeting rooms, and the main restaurant’s hall is also available for private events. There is a metro station a short walk away.